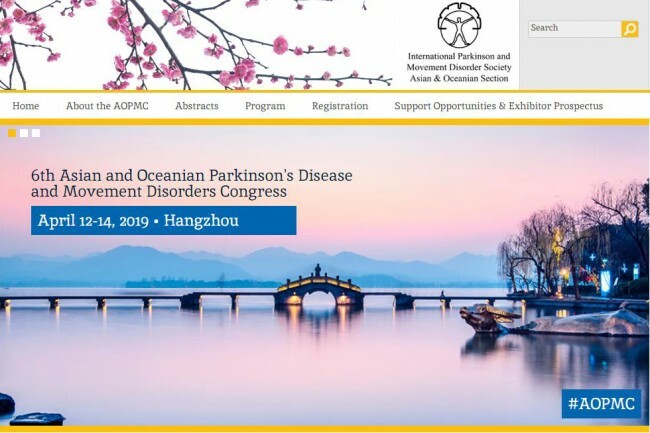 The International Parkinson and Movement Disorder Society (MDS) and the MDS Asian and Oceanic Section (MDS-AOS) warmly invite you to attend the 6th Asian and Oceanian Parkinson’s Disease and Movement Disorders Congress (AOPMC), April 12-14, 2019 in Hangzhou. The AOPMC occurs every two years as a forum to further develop the field of Movement Disorders in the region. Please join us to facilitate communication between clinicians and researchers in the region, disseminate updated knowledge about movement disorders, improve quality of life and independence of movement disorders patients and caregivers, promote research and facilitate research collaborations in movement disorders and expose clinicians, researchers and healthcare professionals in the region to movement disorders initiatives.